Bed Bath and Beyond Inc. and subsidiaries is an omnichannel retailer selling a wide assortment of domestics merchandise and home furnishings. Awesome newly renovated Boutique style hotel in a lovely urban setting. All meeting space has access to natural lighting. Our meeting spaces are gorgeously appointed and provides the perfect background to create your vision for your event! Charm City Chuppahs and Wedding Canopies,Contemporary Wedding Canopies are available in the Baltimore/DC/Northern Virginia areas for rent or for sale. Several styles and fabrics to choose from! If you would like relaxed, fun wedding photographer who delivers awesome photos and videography personalized to you, then visit or call us. Full service travel agency specializing in destination weddings and honeymoons. Providing premium service and products for your dream home. Family owned. Financial services firm that assists clients in all aspects of financial planning. Grace and Virtue Events specializes in weddings and social egagements. I will work with you to customize your event and provide you with the highest level of professionalism and customer service. Please review the website for details of the services or contact me to book your appointment. Bar/Bat Mitzvah, Event and Wedding Photography. Since 1905, Jos. A. Bank has been the expert in formalwear for all occasions. Our collection offers a full assortment of fine menswear, including stylish tuxedos and accessories. Whether you are looking to purchase or rent tuxedos or suits for your special occasion, we’ve got you covered with looks for every event. Unique, panache, innovative, and totally out of this world, our photo booth is like nothing you have ever witnessed before. No OTHER MIRROR BOOTH has the ability to do video and photo in such a “magical” way. Our Magic Mirror Photo Booth is the newest and most advanced Photo Booth that will engage you and your guests. Its interactive and lots of fun. Furthermore, out post processing photo options can incorporate animated gifs, unique photo ideas, slow motion video, and so much more to enhance your selfie/usie experience. Skincare, body care and color cosmetics products made available to the blushing bride and her gorgeous entourage. 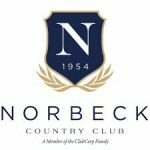 Photographer who loves to photograph real, honest moments, through documentary/editorial style, with epic portrait photos. We love photographing couples in love, and those who love them! 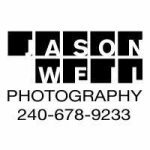 Local professional photographer specializing in wedding photography. Premier Montgomery County venue for weddings, receptions and celebrations. Full service transportation company, specializing in weddings, wedding shuttles, nights out, sporting events, wine tours, plus all local airport and cruise terminal transfers. Come sign up free at the Wyndham booth to win vacations, dinners, mardigras beads for everyone. Pampered Chef offers high quality kitchen items. Local magazine and website for all your wedding needs and lots of local real weddings. Great BBQ-pork, chicken, ribs, brisket, awesome salads & sides featuring Grandma’s potato salad. White table cloth, fine dining steak house. 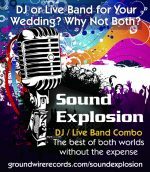 We offer the best Live Band/DJ combo in the Region for those who decide to go with both...without breaking the bank. Sunflower Bakery prepares young adults with learning differences through professional on-the-job training for employment in pastry and related food industries. Exclusively-designed jewelry to make you feel beautiful every day. Superior quality, dazzling crystals and unique artistry. We are a premier medical practice offering comprehensive primary care & medical aesthetic services. We offer laser skin treatments, laser liposuction, medical grade skin care products and medical marijuana certifications among many other services. Offering the area’s most variety in entertainment, photo & video-photo booth, greenscreens and tons more, all under one roof! Specializing in bridal, evening wear and alterations, Zoya’s Atelier showcases beautiful and unique gowns from the UK, US and Middle East, and provides impeccable customer service for brides, mothers of the bride/groom, and all special events.